Trial Specialist, National Labor Relations Board, San Francisco Regional Office: mediated election, eligibility and conduct issues; tried more than 50 litigation cases to finality (90+% success), mediated over 200 settlements; represented the National Labor Relations Board in U.S. District Court (N.D. Cal.) injunction, civil and criminal contempt proceedings. Founder, employment law practice, Lakin Spears attorneys, Palo Alto. 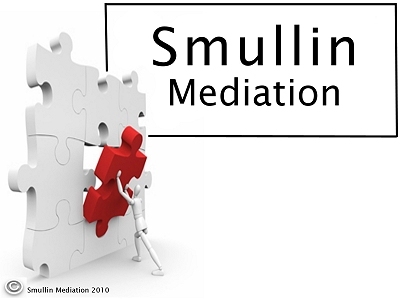 Founder, Smullin Associates, Employment Law Attorneys to Management, Palo Alto. A – V rated by Martindale-Hubbell. Founder: Mediation Roundtable, Santa Clara County. Recent seminars as presenter include: Advanced Mediation Strategies and Ethics; Mediation: Turning Nightmares Into Dreams; Alphabet Soup: the NLRB and the PERB and the Brown Bag seminar Harris v. City of Santa Monica - Mixed Bag or Half a Loaf. Instructor: continuing education classes on Wrongful Termination, Sexual Harassment, Employment Discrimination and Workplace Violence, Palo Alto Bar Association, Santa Clara County Bar Association and the California Continuing Education of the Bar. Certified Training: Steven Rosenberg Mediation Training (40 hours), Santa Clara County Dispute Resolution Program Services Mediation Training (40 hours), various state and country bar mediation seminars. Editor/drafter: subchapter on Sexual Harassment, Employment Discrimination II, Schlei and Grossman, Bureau of National Affairs. Author: California Continuing Education of the Bar coursebook chapters on wrongful termination; “The Investigation of Internal Complaints of Sexual Harassment,” In Brief. Labor and Employment Law Committees: California State Labor and Employment Law Section, Bar Association of San Francisco 1969-77, Santa Clara County Bar (Executive Committee, 1978 to date, Chair 1980, 1981). Education: Stanford University, B.A. With Distinction; J.D., University of California (Boalt Hall); Civil College of Advocacy, Hastings College of the Law. * Tel/Fax: (650) 941- 4600. $ 2,400 each party, per day. References on request.